DCHS Students Cook up a Storm!! 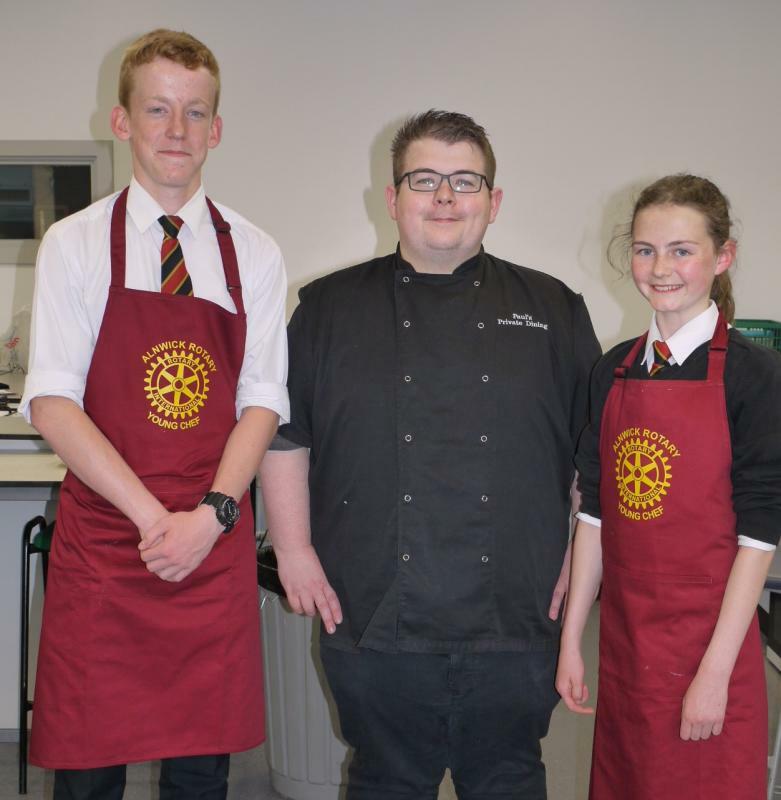 The Judges were Barbara Reid and Marion Long from Alnwick Rotary and Paul Short of Paul's Private Dining who has offered the winners a cookery workshop as a prize. Paul hails from Alnwick and attended DCHS before embarking on his career as a chef. 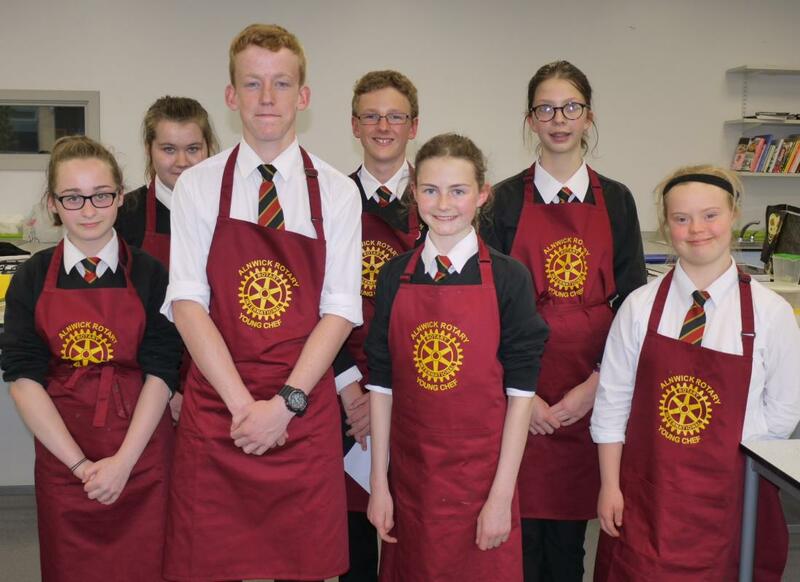 Alnwick Rotary would like to thank Paul and DCHS staff for their support. Photos: Calum and Hannah with Paul Short. Back: Iona Brooks, Iain Taylor and Florence Mills Front: Jazmine Brown, Calum Pritchard, Hannah Taylor and Tashi Dropchinski.